I've been playing guitar for over 25 years. I had the opportunity of studying with both Kevin Eubanks and the late Ted Dunbar at Rutgers university in the late 80s, as well as privately with Steve Khan and Vinnie Zummo. I spent the early 90s aggressively performing and recording with a variety of bands including jazz-fusion band One More Once, fronted by violinist Jonathan Dinklage, and alternative rock band The Prayer. My next major musical endeavor in the late 90s was the forming of my own progressive/alternative rock band Mary's Magnet with long time friend and bassist Tony Senatore. Since 2005 Ive been developing my solo career and released my first CD Voodoo Tone in 2006 and my second CD Wit Of The Staircase this year. 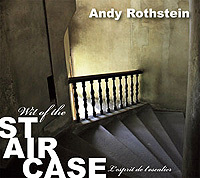 My new CD is Wit Of The Staircase was recorded over a period ranging from 2008-2009. It was engineered by Steve Jankowski (Jankland Recording) and produced by Steve Jankowski, Tony Senatore and myself. I am proud to say it made it onto the 2010 Grammy ballot in 2 categories: Best contemporary jazz album and best jazz solo for Lew Soloffs trumpet solo on Wit Of The Staircase. I was fortunate to have an opportunity to work with some phenomenal musicians and showcase all the aspects of my guitar playing ranging from straight ahead bebop to fusion to rock. This record is really divided into 2 separate recordings. 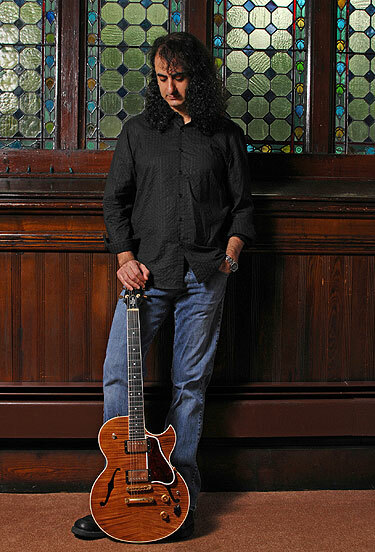 Four of the tunes Recordame, No Worries, Just Friends and Minor League were cut live at Jankland recording studios in New Jersey in September 2008. We were going for a real old school Blue Note vibe and recorded each tune 2-3 times and picked the best version of each. The rest of the tunes were all remote-tracked with a lot of the guitar recorded in my house. On this record I predominantly used a Gibson Pat Martino custom for the more jazz oriented tunes and my own custom Swamp Ash Tele on the more rock/funk oriented tunes. I am using 2 amps in stereo: a Victoria VIctorilux and a Rivera Fandango. I use a variety of pedals including a Fulltone Fulldrive for overdrive and Hermedia Zen Drive for distortion and a T.C. Electronic chorus and a pair of Boss DD-3 delays. My favorite jazz players are Pat Martino, Pat Metheny John Scofield, Mike Stern and Wes Montgomery. My favorite rock players are Hendrix, Clapton, Jimmy Page, Alex Lifeson, The Edge, Stevie Ray Vaughn and Neil Schon, and my favorite rock bands are Zep, U2, Police, Queen, Jeff Buckley and the Beatles. Hard to say which albums influenced me the most but Pat Martinos East, Jeff Buckleys Grace and Ghost In The Machine by The Police all had a huge impact on me. We plan on playing many live shows in support of the CD. Our next show will be at Bar Saints & Sinners in Hoboken November 27th, 2009.